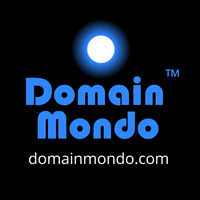 Domain Mondo's weekly internet domain news review (NR 2018-12-16 with analysis and opinion: Features • 1) GDPR & ICANN WHOIS Data: EPDP Initial Report Comments Due Dec 21, 2) Other ICANN news: ICANN's Lyin' CEO? and more, 3) Names, Domains & Trademarks: Tesla.com Redux, 4) ICYMI Internet Domain News, 5) Most Read & Next Week. EPDP meetings Tuesday Dec 18 and Thursday Dec 20 starting 14:00 UTC (9am EST). Observers use Adobe Connect, or audio cast (browser or app). Thursday Dec 20 EPDP meeting transcript (pdf), Adobe replay, Chat transcript (pdf), MP3 audio, notes and action items here. Tuesday Dec 18 EPDP meeting transcript (pdf): Adobe Replay (video), MP3 (audio) Chat transcript (pdf), Notes and action items here. See also GNSO Council EPDP page and updates. Links to all EPDP meetings' transcripts and recordings are on the GNSO calendar. Other EPDP links: wiki, mail list, action items, Temp Spec, EPDP Charter (pdf), Data Elements Workbooks (pdf), EPDP Initial Report (pdf). See the "old way" WHOIS raw data here: https://www.whois.com/whois/facebook.com. The "new way" minimizes over 30 data elements (data fields) to just 8 necessary data fields for a WHOIS in compliance with GDPR (the other WHOIS data elements automatically generated by Registry and Registrar processes, except Registry IDs, are not affected by GDPR). It would be hard for an honest registrant to fail to accurately fill in the registrant's data fields in this revised WHOIS "new way." "What James Bladel (GoDaddy, RrSG) told the EPDP working group more than once, including Aug 7, 2018 (transcript), is VERY IMPORTANT: "We’re talking about collection of data for the purposes of publication in an RDS system or an online directory and that is, again, not something that we [registrars] need in order to serve our customer, our registrant customers ... we have our own internal communications with those customers" [e.g., additional contact information, banking and credit card info, etc.] This is the time to cleanup the WHOIS registrant data fields, simplify, clarify, and minimize, in compliance with GDPR and other data privacy laws." "The initial report does not present for review any concrete policy. Instead it is a discordant document filled with tentative suggestions and polarised arguments." The EPDP's Google Form for submitting comments was a poor method for commenting on this Initial Report, specifically limiting how much "comment" one could submit: "Your response is too large. Try shortening some answers" (see message in "red" below). Two Decades of WHOIS (a/k/a RDS) Reform Failure at ICANN: Letter dated 14 Nov 2018 (pdf) from GNSO Council Chair Keith Drazek and Vice Chairs Pam Little and Rafik Dammak, to ICANN Board of Directors, published by ICANN 26 Nov 2018, re: Termination of the Next-Generation Registration Directory Services (RDS) Policy Development Process Working Group. ICANN Board of Directors response (pdf). Guidelines 3/2018 on the territorial scope of the GDPR (Article 3) (pdf) - version for public consultation--edpb.europa.eu. "... at this time, the ICANN Board does not intend to issue another Temporary Specification or amend the current one absent a compelling legal reason, consistent with ICANN’s current contracts with registries and registrars, for it to do so; for example, to maintain the security or stability of registry services, registrar services, or the Domain Name System ..."
11 Dec 2018 Letter from ICANN GDD VP Cyrus Namazi to Intellectual Property Constituency re: Privacy and Proxy Service Provider Accreditation Policy Implementation namazi-to-ipc-11dec18-en.pdf [128 KB]. ICANN org's Technical Study Group on Access to Non-Public Registration Data - background info - the TSG-Access-RD mail list. See also this on DomainIncite.com. UPDATE: Verisign and Nu Dotco, LLC request to intervene in Afilias vs ICANN IRP re: new gTLD .WEB. ICANN Holiday Break: ICANN offices (and GNSO staff support services) will close at the end of business on Friday, 21 December 2018, and reopen Wednesday, 2 January 2019. Webinar on Draft ICANN FY20 Operating Plan and Budget, Tuesday, 18 December 2018, 17:00 UTC (12 noon EST). Join here: https://participate.icann.org/planning. A recording will be posted on the Community Wiki here. 12 Dec 2018 Letter from ALAC's Maureen Hilyard to ICANN Board Chair Cherine Chalaby re Enabling Inclusive, Informed and Meaningful Participation at ICANN--hilyard-to-chalaby-12dec18-en.pdf (pdf). ICANN GNSO Project List (pdf) 10 Dec 2018. Buying https://t.co/46TXqRrsdr took over a decade, $11M & amazing amount of effort. Didn’t like https://t.co/BsRfMrY9Gm even when we were only making 🚘. See also: Musk Gets Tesla.com Domain Name After Waiting a Decade | bloomberg.com 19 Feb 2016.
a. Internet censorship in Turkey--journo.com.tr: Since 2014, many websites and social media platforms have been periodically censored by Turkish authorities. Wikipedia has been completely blocked by the Turkish government since April 2017. See also Things Were Supposed to Be Different in Hungary--slate.com. b. Soros vs Facebook: George Soros, the hedge-fund billionaire, gave money to one of the ten organizations that support Freedom from Facebook (domain: freedomfromfb.com), an activist group that wants to see the company broken up by spinning off its various business units--foxnews.com. c. Young Arabs now get their news first on social media, not television. A recent survey revealed almost two-thirds (63%) of young Arabs report looking first to Facebook and Twitter for news. Three years ago, that was just a quarter.--zdnet.com. 3. UK Brexit Agreement Vote Dead? Now A Hard Brexit or Capitulation to EU? Wherever You Are, Enjoy The Holiday! News Review ICANN EPDP Phase 2, Facebook Effect? News Review 1) ICANN64 Report, TSG Model A House Built On Sand? UK Dysfunction | Brexit Or Not, Final Days Or Kick The Can Again?